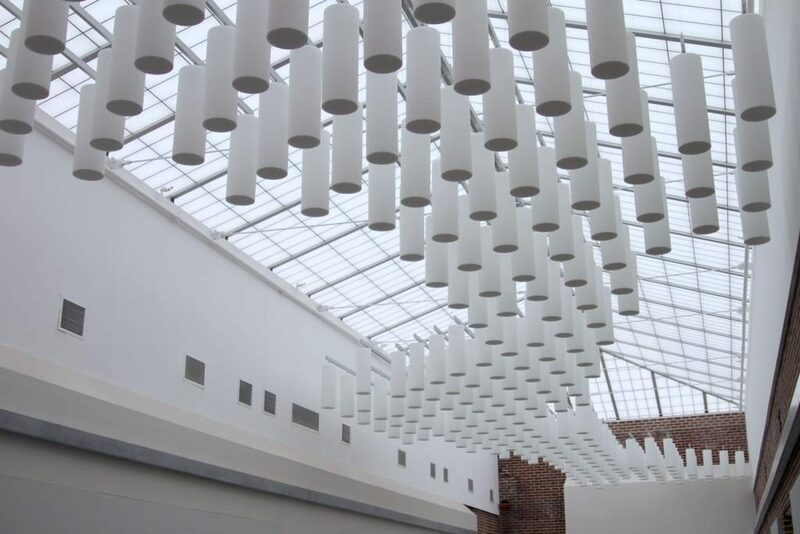 Acoustical Panels from Applied Acoustical Group offer many different solutions to a variety of architectural noise issues. To solve these issues, Applied Acoustical Group can recommend solutions both remotely or on-site. Remotely, we can utilize pictures and dimensions that you provide to specify a solution that will fit your space, budget, and needs. Alternatively, we can visit your location in-person to gain a better understanding of what the problem is and what an ideal solution looks like for you. As part of this assessment, we often provide estimated reverberation times for the affected space. This measurement allows us to then calculate how much acoustical material we need to install so that your space will achieve an ideal reverberation time. Applied Acoustical Group is proud to distribute for a number of acoustical panel manufacturers. As part of our architectural solutions, we have the flexibility to choose from a variety of offerings that will fit your design and budget. 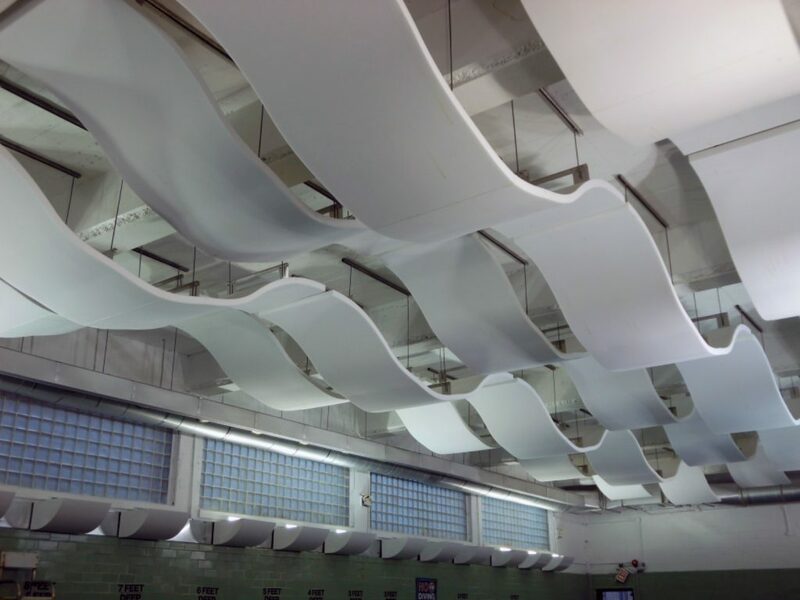 These products include absorptive wall panels, baffles, ceiling tiles and cloud panels. Our products are Class 1 fire rated, extremely lightweight and incredibly easy to install. And while these options come in a number of patterns and colors, we also offer custom capabilities and solutions that no other group in the industry can match. Furthermore, thanks to our extensive offering, AAG can provide solutions that blend in or stand out. If the space is in a hotel or Class A architectural space, we have products that add a unique design element to the room. But if you have a restaurant and you don’t want your patrons to even notice our solution, then we have an answer for that too. Whatever your issue and space may be, we can work with your budget, needs, and goals to find a solution that works best for you. Give us a call today to see how we can help! As part of our architectural solutions, we have the flexibility to choose from a variety of offerings that will fit your design and budget. An office that is noisy to the point of disruption can cause confusion, frustration and even a decrease in productivity. 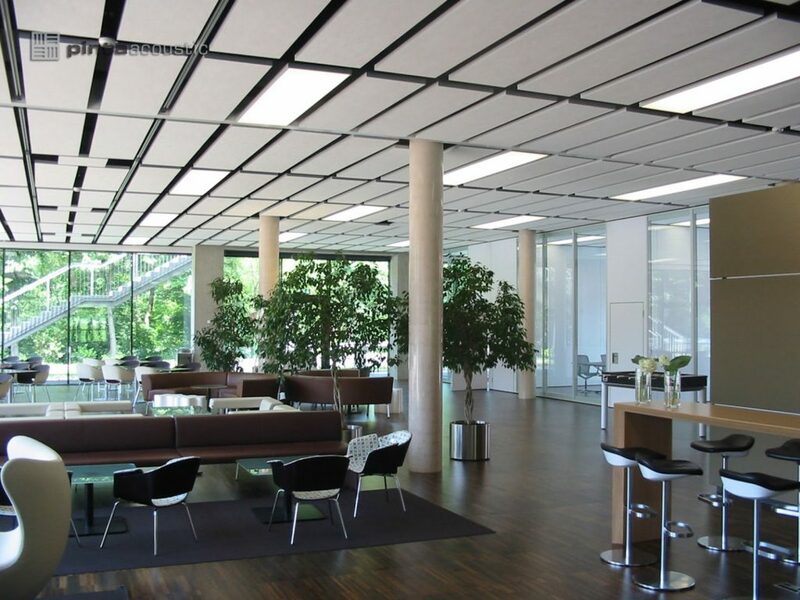 But the aesthetic quality of the acoustical solution is also critical in this space where you may frequently have customers and colleagues visiting. Thankfully, Pinta has a variety of options to meet your desire, whether that be a solution that stands out and catches the eye, or one that blends in and is hardly noticeable. Gyms, aquatic centers, cafeterias and multi-use areas can be a nightmare for those that use them frequently do to the excessive reverberation. Thanks to Pinta’s numerous options to treat both the ceiling and the walls in these areas, we can specify a combination of products that will provide the ideal acoustical environment for these multipurpose facilities. In places like hotel lobbies, restaurant seating areas, art galleries, downtown office spaces and corporate headquarters, the client tends to place a premium on a solution that is visually striking. Class A buildings expect to have an environment that is acoustically sound, but also need to have a Class A aesthetic to them. Pinta’s entire product line is customizable to deliver creative freedom for architects, interior designers, and building owners. Noise levels for gunshots can easily be 150 decibels or more. 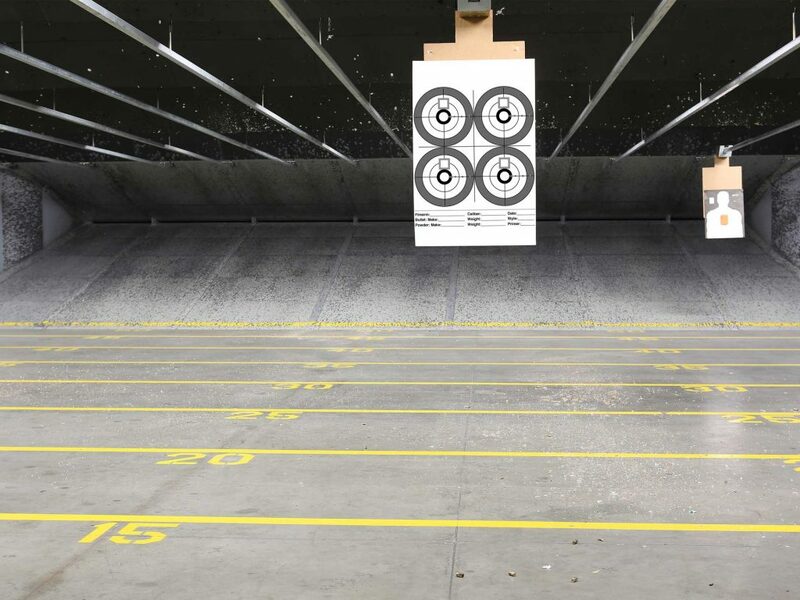 It’s no wonder, then, that range owners require hearing protection for the shooters, but also take the measure of acoustically treating the range. The Hypalon-coated foam offerings from Pinta are treated to withstand this environment and are easily cleaned.